Nand Kishore Chaudhary founded Jaipur Rugs in 1978. His company has grown through the hard work of more than 40,000 artisans, spanning 6 states in India. Jaipur Rugs mostly offers hand made rugs – which take several months to complete. Jaipur has helped improve the lives of these artisans in a meaningful way. They have empowered the artisans by by dealing directly with them and cutting out any middlemen. The artisans are paid fairly for the rugs they create. Mr. Chaudhary and his family have also created social initiatives to educate the artisans and their communities. Mr. Chaudhary strongly believes happy people make beautiful things! 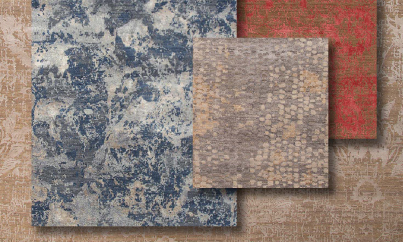 Jaipur’s options for rugs, throws, pillows and poufs are endless. Almost every rug is offered in a variety of sizes and are stocked in North America. Take a peak at our Burlington store for all of the offerings from Jaipur Rugs!